Russia lofted a military satellite Thursday to join a network of orbiting early warning stations detecting and tracking missile launches around the world, providing the Russian government notice of potential attack. A Soyuz-2.1b rocket lifted off from the Plesetsk Cosmodrome, a military-run base about 500 miles (800 kilometers) north of Moscow, at 0634 GMT (2:34 a.m. EDT; 9:34 a.m. Moscow time) Thursday, according to a statement released by the Russian Defense Ministry. 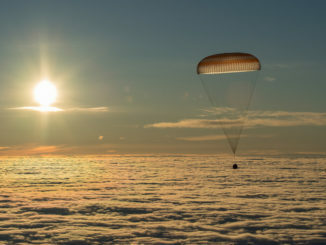 Thursday’s mission was the first satellite deployment flight dedicated to the Russian military in nearly one year, a decline from the usual pace of Russian military launches after two of the country’s rockets — the Soyuz and Proton — were grounded in the wake of mishaps last year. 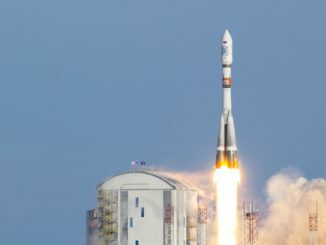 The three-stage Soyuz rocket, fitted with a digital flight control computer and an upgraded RD-0124 third stage engine, propelled the military satellite into space in the first nine minutes of the mission. A Fregat upper stage was expected to separate and fire multiple times to guide its payload into an elliptical “Molniya-type” orbit ranging between approximately 1,000 miles (1,600 kilometers) and 24,000 miles (38,600 kilometers) in altitude. The target was inclined around 64 degrees to the equator, and the orbit’s position is designed to allow a satellite to hover over Earth’s high latitudes most of the time. 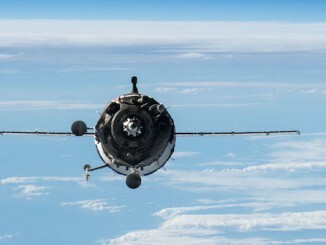 No data on the orbit achieved by Thursday’s launch was immediately available, but the Russian Defense Ministry said the flight went normally and delivered the payload to its intended orbit. “Launch of the rocket vehicle and ascent to orbit were held under normal conditions,” the defense ministry said in a statement. The Russian military named the satellite Kosmos 2518, consistent with the official nomenclature for Russia’s defense-related spacecraft. The type of launcher, time of liftoff and trajectory of the rocket indicated it carried a EKS-type missile warning satellite. EKS is a Russian acronym that translates to integrated space system, according to RussianSpaceWeb.com. The EKS, or Tundra, satellites replace Russia’s Oko early warning system, which had its last satellite launch in 2012, the website said. The first EKS satellite launched on a Soyuz-2.1b rocket from Plesetsk in November 2015. Russia uses the missile warning satellites, along with ground-based radars, to track missiles that approach the country’s territory. Thursday’s launch marked the first space mission to lift off from Plesetsk this year. It was the fifth launch of the Soyuz rocket family worldwide in 2017.